A holiday activity that is easy to make and smells delicious? 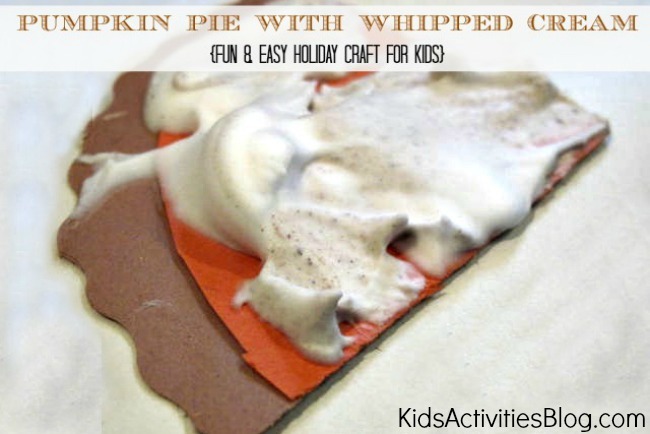 Check out this adorable paper craft for kids – pumpkin pie with whipped cream. 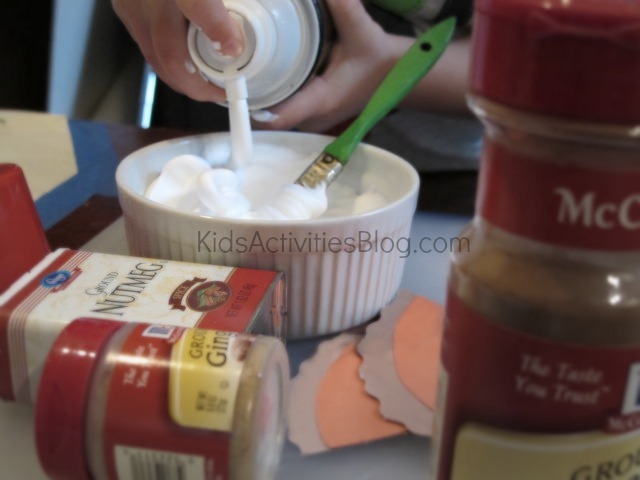 We at Kids Activities Blog love anything having to do with dessert! My 2 year old son’s weekly co-op always has adorable project stations for the children. Last week there was a “pumpkin pie” station that integrated sensory with art. I decided we had to do it at home. So simple. Cut your “Piece of Pie” ahead of time by gluing a “triangular” or 1/3 circular shaped piece of orange construction paper onto top of a slightly larger piece of similar shaped brown construction paper. Then ask them which spice(s) they would like to apply onto their pie and let them at it! Thank you for visiting today! Please leave a comment! I love hearing from you! Previous Post: « Can a Virtual Taco Help you Heal? I have learn some just right stuff here. Certainly worth bookmarking for revisiting. I surprise how much attempt you put to create the sort of great informative web site.